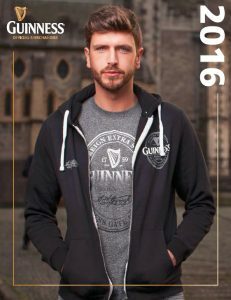 Download Catalogues | Soccer, Guinness, Doctor Who & more! Fill out this form to receive a link to download our catalogues! If you would like hard copies, please email us at sales@mimiimports.com with a list of the ones you would like mailed to you. So many products to choose from – all the fan favourite clubs & players. Over 600 products available for soccer fans in North America. 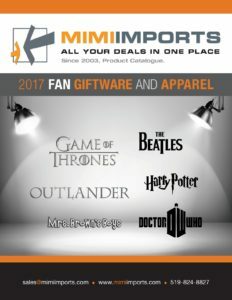 Tons of products for all our other brands – Game of Thrones, Outlander, Mrs. Brown’s Boys, Beatles, Harry Potter, and Doctor Who! 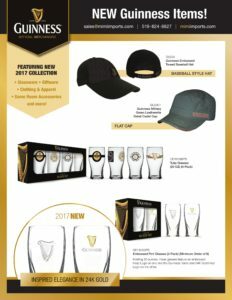 Guinness Gift, Apparel and Barware now available in Canada. Looking for new additions to our Guinness line? Check out the insert for updates.